This is the official web-site of the Northern Anarchist Confederation NAC - Anarkistenes organisasjon i Norden - affiliated to the IFA - L'Internationale des Fédérations Anarchistes - The International of the Federations of Anarchists - The International of Anarchist Federations (IAF) and the Anarchist International (AI). For more about the history of NAC, see links to the History of IFA/IAF/AI and Norway plus the web-pages of the other northern sections of IFA/IAF/AI and IJ@, at "Links" below. The Confederation consists of the (IFA) Anarchist Federations of Denmark (AFID), Finland (AFIF/SA, Norway (AFIN) and Sweden (AFIS), and sections in several other northern countries broadly defined, i.e. mainly in the North generally. Íslenska Frjálshyggjumaður Ríkjasamband (The Libertarian Federation of Iceland, Icelandic Section of the NAC/IFA/AI - IFR-LFI) since 1988 is one of them. The economic-political system in Iceland, has since 1966/67 been and Anarchy of low degree. Iceland was the first real anarchy in the world's history, and it still is anarchy. The Anarchist Federation of Poland affiliated as a section of IFA and NAC in 1982, and a delegate from AFP worked for several years together with the Nordic IFA-IAF secretariate i Oslo, a.o.t. with the ABC-campaigns for Solidarity in Poland. The British/Anglophone Anarchist Federation, AF (IFA),with several sections in the North, and some in the South, as a loose network, has a long history of cooperation with the IFA-IAF secretariate in Oslo, a.o.t. via the Anarchist Black Cross. Freedom, the British anarchist paper in October 1994 published the Oslo Convention of 1990 against mob rule etc. related to an ochlarchical meeting in October 1994 arranged by authoritarian chaos-punks, marxians and mad fogarchs posing as "anarchists", called "Anarchy in the UK", with magical "Levitation of parliament" as the main "direct action". Vernon Richards et.al. denounced this meeting, together with the IAF/IFA. The Anarchist Federation has joined the NAC as an associated member. In 2002 the Baltic Anarchist Confederation, BAC, with sections/federations of Estonia, Latvia and Lithuania joined the NAC, IFA & AI. NAC together with the WSC-IFA (the AI/IFA-secretariate) also contribute to organize sections world wide outside the North, i.e. of the Anarchist International (AI) broadly defined (see at the top of the "Links"-site). The number of networkmembers/subscribers, groups and individuals, to the NAC, and an estimate of the number of anarchists associated to the NAC-network, are mentioned at the Web of the AI-secretariate - also with pictures of some of its members . The term section is also used for a federation or a group of federations within the AI/IFA/IAF. The term sections is also used for a group of federations and similar. Thus - the Northern Anarchist Confederation (NAC) is also called the the Nordic section, Northern sections of IFA or North sections of IFA. This section(s) was founded at the The First Nordic Anarchist Congress 15-17 october 1982 in Oslo, as the nordic sections of IFA with the organ ifa-Solidaritet (iaf-Solidarity), connected to "folkebladet" (see Bulletin C.R.I.F.A. No 42 novembre-février 1982, p. 4 and ifa-Solidaritet no 8 1983/fb 4-83), later (1984) renamed International Journal of Anarchism IJ@, and with a wider mandate, i.e. for the world. The Northern Anarchist Confederation (NAC) is also called the Nordic Anarchist Federation and Scandinavian Anarchist Federation, but this may be a bit misleading since it is a confederation with several national federations/sections affiliated to IFA-IAF, also outside Scandinavia narrowly defined. Below we have quoted material from NAC, the Northern sections of IFA-IAF, and the Anarchist International, and also independet third party sources, such as the Bulletin CRIFA, the main organ of the southern sections of IFA-IFA, letters from CRIFA, the French anarchist paper Le Monde Libertaire, and the British journal Black Flag, the Organ of Anarchist Black Cross (ABC) plus three main newspapers in Norway, Dagens Næringsliv, Finansavisen and Verdens Gang, CNN, and a letter from CNN to AIIS/AI, etc, that shed light on the NAC and its programs and direct actions. The main direct action - and breakthrough - of NAC was the anarchist velvet revolutionary change in Norway in 1994/95, where AFIN, NAC and AI-IFA-IAF were in the forefront in the revolution, see The history of Norway and anarchism in the country, the anarchist velvet revolution in 1994/95, and the social-individualist anarchy in Norway afterwards, The anarchist velvet revolution 1994-96 and Norway and Switzerland: Anarchies of low degree - IJA 1 (37). In this issue of IJA you will also find updated estimates of the number of social-individualist anarchists in Norway and the number of persons associated to AFIN. The revolutionary change, i.e. when Norway entered the social-individualist sector of the anarchist quadrant of the economic-political map, is i) rooted back to a domestic megatrend to the right and upwards on the economical-political map, ii) the No to EU referendum 28.11.1994, and iii) more actions, that iv) gave the marxist matriarch Gro Harlem Brundtland and her authoritarian government an economic-political uppercut, which v) stopped the ruling and turned the system into relatively anarchist administration/management. The development of the libertarian/anarchist degree in Norway related to the velvet revolution and revolutionary change in 1994/95 is estimated to the following: 11-27.11.1994 = ca 49,4% (state); 28-29.11.1994 = ca 51% (anarchy); 01.03.1995 = ca 52%; 01.06.1995 = ca 53%; 01.10.1995 = ca 53%, a stabilized anarchy of low degree. The term "ca" means about. 28.11.1994 is celebrated as the Day of the Anarchist Revolution in Norway, by libertarians. The degree of anarchy was estimated to about 53% after the revolutionary change, thus an anarchy of low degree. In Norway the system works significantly more from the bottom, grassroots, and upwards, than from the top downwards, to the bottom. Thus it is anarchy. That is confirmed by a.o.t CNN. After the EU-referendum and revolutionary change the CNN (after a little help from the AIT/AIIS) reported: " an almost perfect society" etc , about the Norwegian economic-political system. The connection between AIIS/AI and CNN in those years (1994-95) was officially confirmed in a letter from a CNN/Turner official indicating a.o.t. the information from AIT/AIIS was interesting and intelligent. As this is perhaps a political document of some interest we will describe it a bit more. The envelope has the Turner logo and the sender organization's name is "Turner Broadcasting International Limited" , addressed to S. Olsen, Anarkistenes Informasjonstjeneste [AIIS/AI], c/o F.B. P.B. 4777 Sofienberg N - 0506 Oslo, Norway . The letter, dated 7 March 1995 , says a.o.t. the following: "Dear S. Olsen, Thank you very much for comments on the network's programming. We appreciate your feedback... We [however] do not have the capacity to reply to each of your faxes in turn. They are very informative but also quite substantial!... Thank you for your cooperation. With best whises, Dale Langley - Press Officer. CNN INTERNATIONAL," i.e. at the CNN's London office, UK . Well, 'plenty all right - too much no good' as one of the AI councillors often says, - anyway the AIIS/AI spread the telefaxes on different offices of CNN and other newsmedia to be more cooperative. The main point is that CNN and other newsmedia responded to several of the AIIS/AI faxes in their news. As mentioned, the velvet anarchist revolution made Norway an anarchist society of low degree, and it has been anarchist since then. The degree of anarchy by now is estimated to about 54%. This is also confirmed in the paper editions of the two main economic newspapers in Norway, Dagens Næringsliv 2/3 June 2007 p. 3 and Finansavisen 17.10. 2007 p. 64, see anarchist articles in DN and Finansavisen. The main policy of AI and AFIN is presented in the largest Newspaper in Norway, Verdens Gang 06.11.2001, p 39 , see Anarchy is [real] democracy - article in VG. This article also states "Norway [as] a relatively anarchist country, however a bit far from the anarchist ideal (Norge som et relativt anarkistisk land, men nokså langt fra det anarkistiske ideal.)" The libertarian music of the FABS, the Federalist Anarchist Beat Society, was a major source of inspiration for the Anarchist Federation of Norway, AFIN, and the Anarchist International Information Service, AIIS, during the velvet revolutionary change. FABS also was - and is - a major source of inspiration for the Northern Anarchist Confederation in general. Another great direct action where AFIN, NAC and AI-IFA-IAF were in the forefront, was against the ABCDE-CONFERENCE/WORLD BANK in Oslo 24-26 JUNE 2002, see the ABCDE - direct action. For other NAC direct actions see the links-site (click on "links" below). AFID, AFIF/SA, AFIN, AFIS and IFR-LFI have been involved in several important direct actions, both on country-basis and joint NAC-actions, as well as broader international direct actions via the Anarchist International (AI/IFA). Fellows in the North! Contact NAC and join the NAC-network today! Be a networkmember/subscriber to the IJ@/NAC/AI/IFA! Feel free to forward this information to your own network, and/or link up the Website of NAC at your blog or homepage. Join in the struggle a) for and towards anarchy and anarchism in the so far non-anarchist Northern countries etc., and b) for higher degree of anarchy in Norway and Iceland; i.e. for more socialism and autonomy; against economical plutarchy - that is capitalism; and against statism -- in the Northern countries and world wide... Of course a struggle without ochlarchy (mob rule broadly defined), the opposite of anarchist, anarchy and anarchism!!! A struggle for anarchy and anarchism as opposed to all forms of marxism (state-socialism), liberalism and fascism, including populism. A struggle for a movement of the societal, i.e. economical and political/administrative, systems -- in libertarian direction, less authoritarian degree... The NAC always works and demonstrates with dignity, uses real matter of fact arguments and adds weight behind via direct actions, mass actions, and via elections. More information is available via "contact NAC" below. The ABC is rooted back to an "Anarchist Red Cross" organization in Tsarist Russia, which was later financed and organized by Russian emigres in the USA. During and after the Russian Revolution, the name was changed to "Black Cross" to avoid confusion with the Red Cross, which was also active in the war-stricken Russia. It carried on, chiefly from Chicago and Berlin, looking after first Russian political prisoners - who were now those of the Bolsheviks and not of the Tsar - and then the victims of Italian fascism. But the numbers of anarchists who were attacked by reaction in country after country became too vast for the organization - especially when the depression in the USA made it difficult to raise funds in the last bastion of support for them - the foreign language speaking trade unions in America. So the "Black Cross" faded out as an active organization. The British Anarchist Federation had been reorganized in the early 1960s. At that time this was a broad based federation including both anarchists and semilibertarian marxists and liberals, so it hardly deserved the name anarchist. However at the same time there were a lot of political prisoners in the Spanish fascist state of Franco, many of them anarchists, and they were mainly forgotten by the international media as well as Amnesty International a.s.o.. 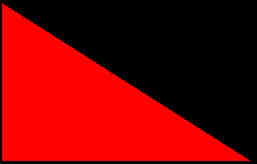 Mainly some of the semilibertarian marxists, sometimes wrongly called "anarcho-marxists", related to this federation, among them Stuart Christie and Albert Meltzer, proposed to do political prisoner support at one of the yearly meetings of the British Anarchist Federation, and soon after a preliminary "Black Cross" appeared, however not called anarchist. In 1968 - at the International Anarchist Congress, i.e. the reorganizing congress of the Anarchist International IFA, in Carrara, Italy, the delegates from the British Anarchist Federation had hoped to form and international "Black Cross" within the framework of IFA. However because they were not anarchists, but semilibertarian marxians, they were of course not allowed to participate fully at the 1st IFA congress, only join as observers, so the project was at first rejected as an IFA campaign. Instead Stuart Christie, toghether with other semilibertarian marxists, as, say, Daniel Cohn Bendit, that also were observers at the International Anarchist Congress, formed a small alternative congress near by, where the International Black Cross was launched, i.e. it was not considered anarchist, but mainly semilibertarian marxian, but anarchists could also participate. Later on an anarchist section of the International Black Cross, called the Anarchist Black Cross affiliated to Internationa Black Cross , appeared. However the secretariate of the IBC, mainly Christie and Meltzer, at first continued also as the secretariate of the ABC, and this sometimes lead to misunderstandings with respect to the political tendency of the Anarchist Black Cross on the one hand, and the broader more or less semilibertarian International Black Cross, that had a marxian and sometimes also liberal tendency - on the other. Furthermore, as in the early days just a loose network of a few microscopic and random groups, easy to infiltrate by provokers and ochlarchs occured, the organization was for several years insignificant in many ways, and mainly semilibertarian, not anarchist. This was about to change when AFIN/ANORG joined the ABC in 1979, with a more firm organizational approach, and a clear cut anarchist ABC-section. In 1979, the Anarchist Federation of Norway (AFIN/ANORG), at about the same time as it affiliated to IFA and CAN, also joined the Anarchist Black Cross, collectively. In a letter to ABC later on the following was stated: " On the 15. january 1979 the ANORG collectively joined the Anarchist Black Cross by an unanimous voting throughout the country ." The affiliation to the Anarchist Black Cross was first confirmed in a personally signed letter from Albert Meltzer, and later also confirmed publicly in the paper "Black Flag - organ of the Anarchist Black Cross" No 6 (1981), also stating "Folkebladet" (The Peoples' Journal) as an organ of the ABC/IBC: "The main anarchist paper is Folkebladet (The People's Journal)... A new activist anarchist group with monthly action campaignes has emerged. The ANORG (AFIN) has collectively joined the Anarchist Black Cross". A campaign for an imprisoned fellow - a total draft rejector - Kjell Vesje [in 2002 working as a journalist in the NRK - The Norwegian general public broadcasting] was also launched internationally. Also other total total draft rejectors have been supported. The note in the Black Flag No 6 (1981) also declared that doing military service (mainly in the local militia, HV) was "a useful way to get knowledge of arms" for the anarchists. In 1982-83 the collective membership of AFIN/ANORG to the ABC/IBC was passed on to the Northern sections of IFA. The 1st Northern IFA-congress in Oslo 1982 decided a.o.t. the following: "Political, economic and cultural co-operation was mentioned, in unions, co-operative and collective movement, ecology and environmental protection, feminism, youth movement, political solidarity work (for instance the Anarchist Black Cross) ... The aim should be an organizational integration of all anarchists ...as one nordic IFA section with national federations. To promote such a development the congress decided uninamously to establish a nordic IFA secretariate, which for the time being is to be adjoined to the expeditionary group of ANORG. Anarchists ... who are not associated to any national IFA federation adjoin to IFA directly through this nordic secretariate. If nothing else is agreed upon, these members will have the same connection to IFA as ANORG members, with the same rights, paying the same fee, etc" (i.e. also to be collectively members of ABC-IBC). This is a.o.t. documented in the Bulletin C.R.I.F.A. no 42 novembre 1982 p. 5. and Folkebladet No 4/1983 and IFA-Solidaritet No 8/1983 . Thus in 1982 the Northern Anarchist Black Cross network was established with national sections for Denmark, Finland, Norway and Sweden. A letter signed by Stuart Christie also confirmed the collective membership of the Northern sections of IFA to ABC-IBC, and Folkebladet as an organ of the Northern sections of ABC-IBC. In the early 1980s, say, the ABC-campaigns for Solidarity in Poland were among the most important. This is documented a.o.t. in Folkebladet No 1/1982. ABC-IBC was also involved in solidarity actions for the French anarchist radio "Radio Libertaire" in its fight for free speech and against repression from the authorities, see, say, Folkebladet No 4/1983 . In 1983 the Northern sections became national IFA-federations, and the collective affiliation to ABC and IBC passed on as well. At the same time the IFA secretariate in Oslo also became the secretariate of the Anarchist Black Cross and the International Black Cross in the North in general. The semilibertarian marxian faction of IBC declined slowly, and the anarchistic ABC and IBC in the North, with secretariate in Oslo, became the main basis for the activity and organization. Folkebladet/International Journal of Anarchism continued as the main organ of the ABC-IBC when the British organ of the Anarchist Black Cross finished later on in the 1980s. This continued when the International Journal of Anarchism appeared on Internet in 1996 and later. In 1998 when the broader network confederation called the Anarchist International world wide (AI/IFA) was confirmed, a) the collective ABC membership of the AI-sections in general was acknowledged, b) the IFA/AI secretariate in Oslo with the ABC and IBC secretariates called ABC-I was unanimously decided upon - c) the IJ@ was confirmed as a general organ of the ABC, IBC, ABC-I and AI/IFA, d) the "Black Flag - organ of the Anarchist Black Cross" was confirmed as a special organ of the ABC and ABC-I, and c) the logo and names linked above trademarked and copyrighted material of IJ@/FB. This was also confirmed at the International Anarchist Congress of AI/IFA in Oslo medio December 2000 and later. The large problem of anarchist political prisoners, say, in Spain during Franco's rule, is no longer there, and the ABC at the moment is mainly involved in preventive solidarity work, i.e. doing actions to avoid that anarchists should once more be exposed to heavy repression and be political prisoners (and/or mobbed, tortured and/or be murdered) in different connections - now and in the future. The IBC has a somewhat broader approach, and mainly works in co-operation with other human rights and solidarity organizations. Non-ochlarchical political prisoners are of course not criminal, from libertarian perspective. In 2002 the Anarchist Black Cross and International Black Cross have a.o.t. been active in the solidarity campaign for Edgar Rodrigues and work for more court security and quality, as well as more human treatment of prisoners and better rehabilitation programs. In 2006 the ABC a.o.t. has been supporting Polish anarchists. In 2009/10 there are no reports of anarchist political prisoners. A few ochlarchists falsey posing as anarchists and /or falsely called anarchists by the newsmedia, face trial or are in jail, but they have of course no support from ABC. The ABC condemns all criminal ochlarchists and ochlarchy in general. The ABC continues preventive solidarity work. More information at the Web of Anarchist Black Cross. Some external sources about the Northern Anarchist Confederation etc. Links - The official link-site of the Anarchist International with the original IFA-logo and links to websites of member-organizations, resolutions and direct actions. To see the Website of the Congress - Click here! Contact NAC - Click here!